Best known for The Jungle Book and the poem 'If-', Rudyard Kipling (1865-1936) became the first British recipient of the Nobel Prize for Literature. His considerable literary output, of both prose and poetry, reflects and interprets his experience of empire, and his great fame during his lifetime was matched by sales of his works. 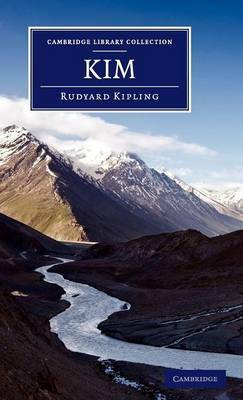 Widely regarded as Kipling's masterpiece, and described by him as 'a labour of great love', this picaresque, nostalgic novel was first published serially and then in the form of this book in 1901. Ten years in gestation, the novel reflects the vastness and diversity of India, combining Kipling's first-hand knowledge of the subcontinent and its people with his highly developed understanding of human interaction. At the heart of the work lies Kim's hybrid nature - a white boy, but Indian in identity - and his action-packed adventures are deftly juxtaposed with the spiritual journey of his travelling companion.